NANUK cases are designed to protect the most sensitive equipment in the harshest environments. Whether battling the scorching heat of the Sahara desert or the bone chilling cold of the arctic, every detail of NANUK has been refined and perfected to offer the utmost in protection and performance. From our high-impact NK-7 resin to our Power Claw latches, NANUK has been engineered and manufactured to stringent military specifications to surpass the needs of the most demanding users. These virtually indestructible, lightweight, watertight cases offer the ultimate grade of protection in a variety of sizes, configurations and colors. Complimented by a large selection of optional accessories and an incredible degree of customizability, NANUK is the best choice to move your equipment in complete security. Whether transporting valuable equipment around the world or simply protecting sensitive tools in the urban jungle, NANUK is up to the challenge. 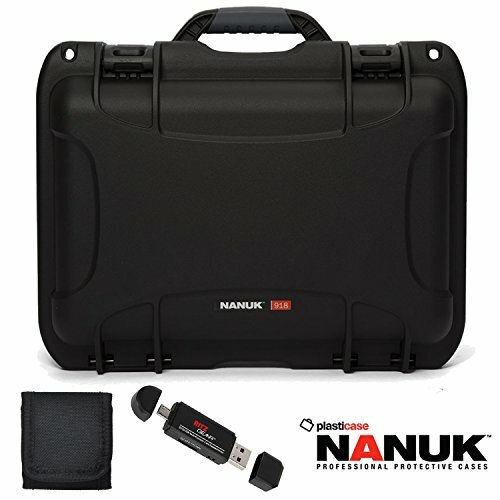 NANUK comes loaded with innovative features. Countless hours of research and development went into defining the requirements for NANUK. The result is a line of cases that are equipped to meet today's challenges. Responding to feedback from professionals in various fields, NANUK is the evolution of traditional protective cases. NANUK has also been designed to adapt as your needs change. Many features that are optional on other cases are standard on NANUK. By integrating attachment features into the case at the design stage, you can easily add a shoulder strap or a panel kit without modifying the case with holes or additional hardware. The attachment features are already there when you need them. Waterproof. Lightweight impact resistant NK-7 resin.